Congratulations to RAND’s Soeren Mattke on PepsiCo study award « They Said What? We are proud (but also insanely jealous) of our friend Soeren Mattke, whose PepsiCo article was named the #2 most-read for the year 2014 in Health Affairs. We, as our avid albeit narrow fan base may recall, ranked only #12–and even then that was just for blog posts, not articles in print. Yes, we know it’s not always about Ron “The Pretzel” Goetzel and his twisted interpretations, but he seems to have come up with what appears to be exactly the opposite interpretation of what the PepsiCo study said. Don’t take our word for it — we’ve cut-and-pasted both what the study says about PepsiCo’s results and what he says about the study. As low as these ROIs are, several major elements of cost were not available for the calculation — probably enough extra cost to literally make the financial returns so meager that even if the program had been free, PepsiCo would have lost money. Clear enough? 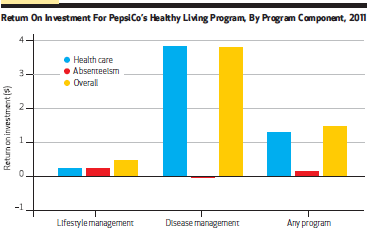 Negative returns from health promotion at PepsiCo, even without tallying many elements of cost. Nonetheless, Mr. Goetzel pretzelized that finding in his recent wellness apologia. 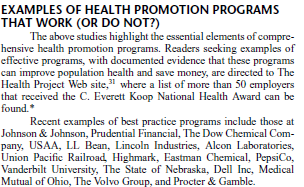 Listed under “examples of health promotion programs that work” as a program that is a “best practice” is: PepsiCo. It stands proudly beside the transcendant programs at Eastman Chemical/Health Fitness and the State of Nebraska. We look forward to a clarification from Mr. Goetzel about how a program that lost a great deal of money on health promotion can be an “example of a health promotion program that work(s),” which we will duly print…but don’t be sitting by your computer screens awaiting it. By whynobodybelievesthenumbers in Disease Management, Wellness, wellness doesn't work on January 14, 2015 .